My arms are fried. 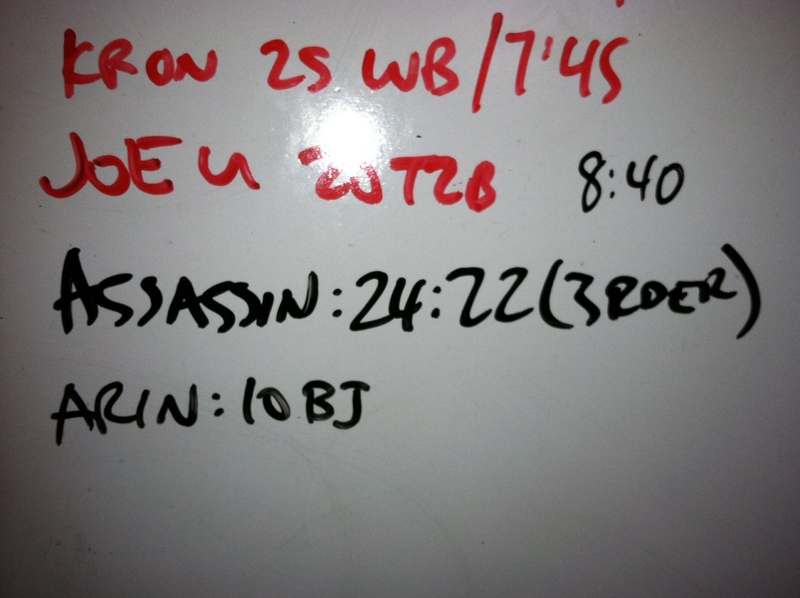 I thought I would do the WOD @ 50#s but after a few reps I failed. So I dropped down to 40#s. 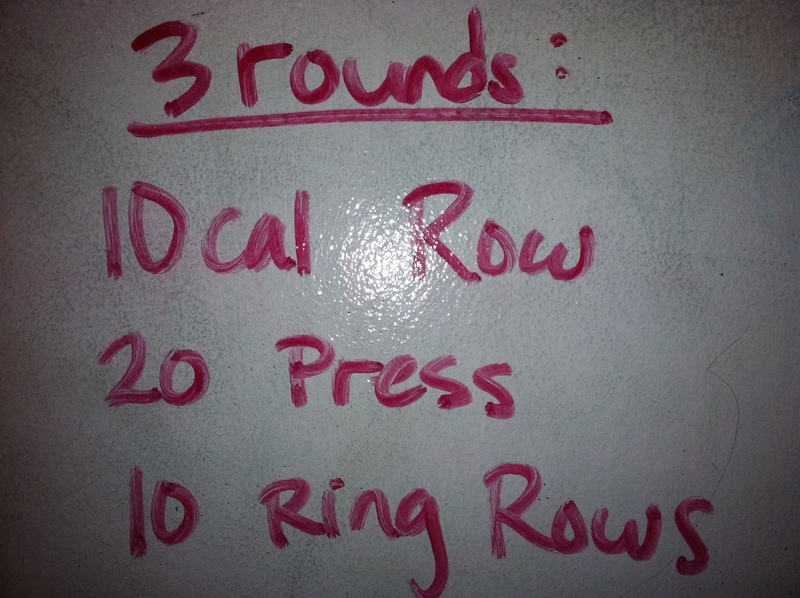 Round 3, I could no longer get the bar over my chin, so I stripped off 10#s. 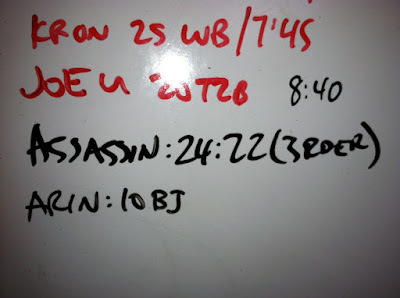 One legged row still feels weird, and there is now way to get intensity up doing it. Speaking of injury, I still haven't pinned down an appt with the chiropractor. I would not be surprised to find out that my injury is really having to do with the nerves around my glute. With all the lacrosse ball rolling that I've been doing, it has given me some relief. I can't wait to see the Doc. Fishing is still on my mind. Lol.